Click Here To See Teen Titans #51 Comic Book! 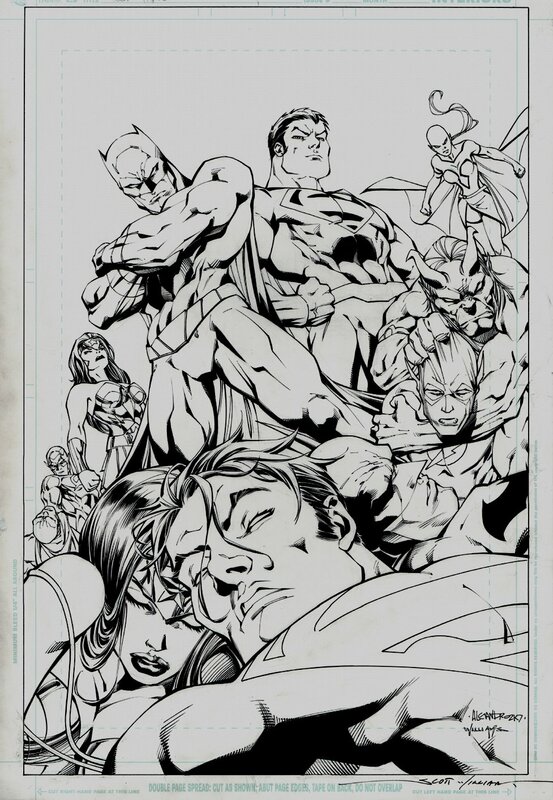 Check out this very nice DC cover, which was penciled by Ale Garza, and inked by the great Scott Williams, from the story titled: "Titans of Tomorrow!" This nice cover features Flash [Bart Allen] (From the future); Wonder Woman [Cassie Sandsmark] (From the future); Batman [Tim Drake] (From the future); Superman [Conner Kent] (From the future); Martian Manhunter [M'Gann M'Orzz] (From the future); Red Devil [Eddie Bloomberg] (From the future); Martian Manhunter [J'onn J'onzz]; Wonder Woman [Diana Prince]; Superman [Clark Kent]; Batman [Bruce Wayne]; Flash [Wally West]! The Titans of Tomorrow are here today! 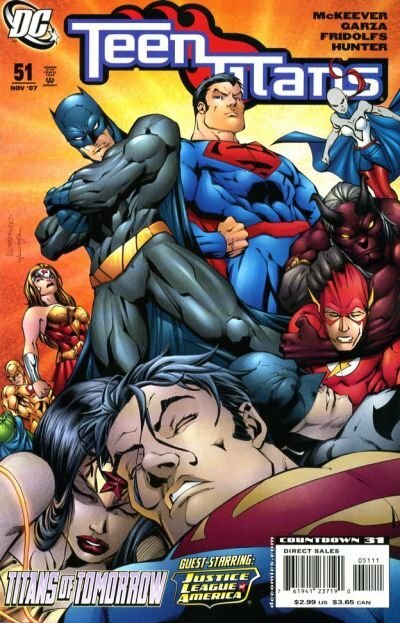 The super-popular future Titans are arrive in our present time , and they've already taken out the Justice League. What crucial historical event are they here to stop — or contribute to? Just a great cover! Compare this nice cover art to the published comic book in the red link above! ALL art on our website (including this one) are able to be purchased with VERY fair time payments, and trades are always considered towards "ANY" art on our website! Just send us an email to mikeburkey@aol.com and we can try to work something out.